These giants of their times are only the tip of the iceberg of the great philosophers, scientists, theologians, writers and artists that lived and worked through the 18th century. They lived up to their potential, and each in their own way impacted the course of human history, because their potential was unlocked in part by Classical Education, which prepared them to grapple with the problems of their day. The core of Classical Education is the trivium, which simply put is a teaching model that seeks to tailor the curriculum subject matter to a child’s cognitive development. The trivium emphasizes concrete thinking and memorization of the facts of the subjects in grade school; analytical thinking and understanding of the subjects in middle school; and abstract thinking and articulation of the subjects in high school. Subjects unique to Classical Education which help accomplish the goals of the trivium are Grammar, the science of language usage; Logic, the science of right thinking; and Rhetoric, the science of verbal and written expression. 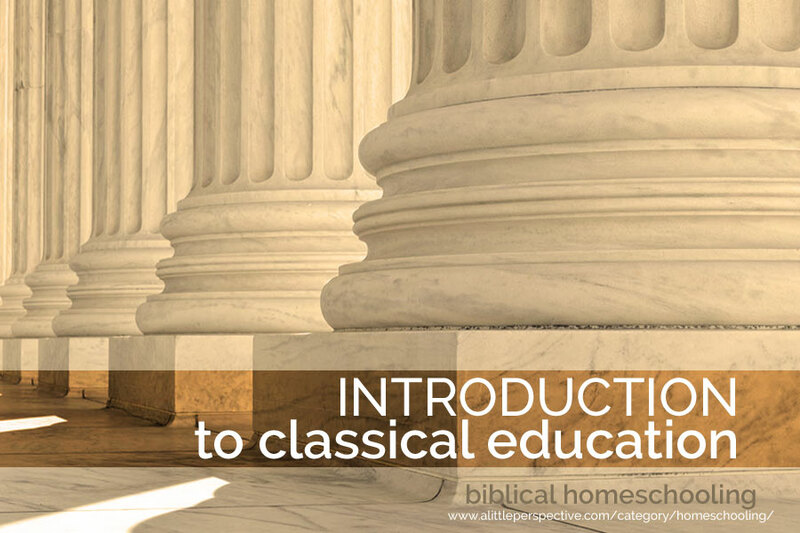 Classical Christian Education is further characterized by rich exposure to the history, art, and culture of Western Civilization, including its languages (Latin and Greek), its philosophy and literature (the Great Books of Western Civilization and the Christian tradition), and the development of a Biblical worldview with Theology in its proper place as the Queen of the Sciences. The combination of the progression of learning from facts to understanding to expression (the stages of the trivium) and the additional classical subjects, work together to give children the tools to think for themselves and to be independent, life-long learners. That is the primary goal of Classical Education. It is to equip educated men and women able to approach previously unknown subject matter, problems, or life situations; and using the tools of learning which have been practiced and refined and internalized in school; to grasp the subject or problem, analyze it according to the standard of truth, and understand and do something about it. Classical Education therefore trains children for success in any field, whether it be marriage and family life, work dealing with society and individuals, business, or arts and the humanities. Furthermore, Classical Education has proven its effectiveness in training for scientific excellence,* which depend on the arts of fact-finding, analyzation, adherence to truth, and the problem-solving skills of which Classical Education specializes. Secondarily, it works: children taught by this method routinely exhibit academic proficiency.